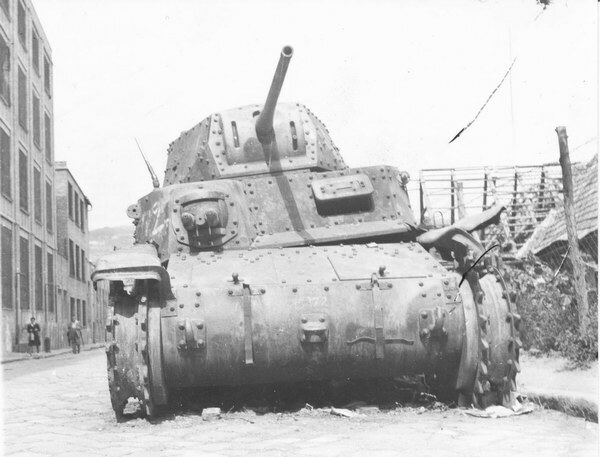 M15 or Panzerkampfwagen M42 738 (i)in Hungary 1944-45. 1944, December, near Budapest. Germans M15/42 panzer from 12 Pz.Pol.Co. with hungarian infantry. 1945, beginning of the year, Hungary. Column of M42 tanks with StuG III. 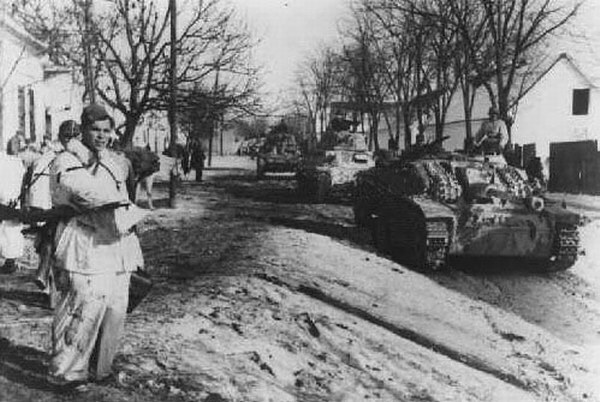 1945, February, Outskirts of Budapest.A display of captured armored vehicles: a Hungarian Turan I, a Turan II and Zrinyi SPG, germans PzKpfw III and PzKpfw IV tanks, Bison and Hummel SPG, as well as Italian M15/42 tank from 22.SS-Freiwilligen-Kavallerie-Division Maria Theresa(on the top left side) and a British Matilda II.